While popes can hail from many countries, the majority, or 217 of them have been Italian. The next largest number, 17, comes from France. Rounding out the top five countries are Greece, with 13; Germany with 8, and Syria with 6. Several countries including Africa, Portugal, and Spain have at least two, followed by one each from Galilee, England, the Netherlands and Poland. In 955AD, at the age of 18, John XII became the youngest pope. Although there seems to be a myth about Benedict IX being only 12 when he became pope, records set his actual age at 20. Was there ever a female pope? According to legend from the 13th century, John VIII, elected in 855, might have been a British woman posing as a man. “He” was embraced by the Church as a great teacher and ultimately became a bishop before ascending to the papal throne. After two years, however, the legend says that “Pope Joan’s” secret was out when she gave birth while on horseback. Ultimately in disgrace, she was stoned or hung. Today, there exists no records of a female pope nor scholarly confirmation of her existence. It wasn’t until the sixth century that some popes adopted new names upon their election to the papacy. Choosing a new name wasn’t mandatory; rather, it signified whom a pope might want to honor and emulate. Later, the tradition became customary and every pope since the 16th century has done so. 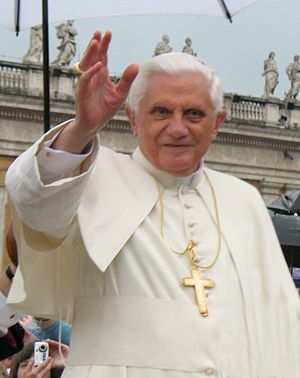 The most common names chosen by popes are John, Gregory, Benedict, Clement, Innocent, Leo and Pius. There has only been one Peter.